Social media is such a double edged sword for me. There are things about it I love about it (connecting with people across miles, learning new things, viewing beautiful pictures) and thing that I don’t like at all (useless updates, political arguments, encouraging FOMO). Recently, what strikes me most about social media is the behavior it encourages in so many of us- me included! Without constant diligence, those of us who use social media accounts can get sucked into wasted minutes (or, gasp!, hours) of scrolling on a screen or the compulsive behavior of checking your feed every time you have a free moment. From a consumer perspective, it is no secret that social media has allowed businesses to reach a broader audience and aided consumers in discovering services they may never have known existed. On an individual level, we all love to see updates about far away family or laugh over pictures and stories about our silly pets. But, the bigger concern (at least from my perspective) is the way in which social media can move us further away from living mindfully. I have done a lot of reading, experimenting and paying attention to my habits around social media so that I can fully develop a measured opinion and recommendations about it. I have hesitated for quite sometime to share my thoughts, as I am most certainly not an expert in telling you how to break up with your Instagram feed. I am guilty of allowing it to influence my life in undesirable ways and require a reset on my habits, from time to time. However, with time and discovery, I feel that I have come to a place of understanding its impact and role in my life and I certainly can speak to that. I find myself in same the camp of many who speak about social media and technology favorably. I share the opinion, that it is a tool and we can decide how and when we want to use it. But, the key here is that we have to actively decide what that use looks like. Without participating in deciding how you will use it, social media can certainly use you and there is a lot of evidence that it can cause some unfavorable outcomes in us as individuals as well as in our communities. Understanding the potential pitfalls can be one of the best ways that any of us may begin to personally decide how useful it is to engage in social media. There is much written about the way in which social media hijacks our neural circuitry by stimulating dopamine production and the reward pathway of our brain. This neurological impact is one of the simplist ways social media encourages us to use it mindlessly. 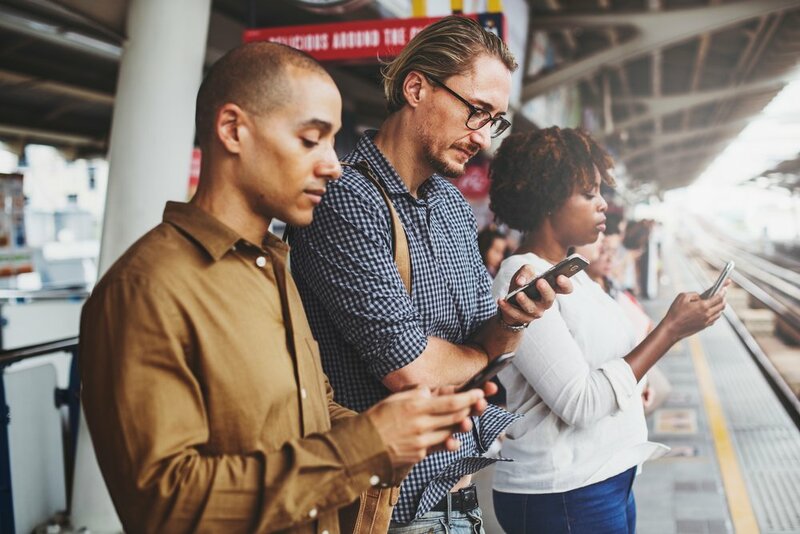 In addition, evidence has been building that social media use can increase depression in some individuals who are prone to its negative affects. We are seeing ways that the same technology that keeps us connected, may encourage feelings of loneliness in an individual. On a larger scale, there have also been notable changes as a culture in the way we communicate and engage in authentic conversation- both in person as well as online. How do I choose to use it? I use it to laugh, stay connected to friends who are miles away and to learn new things. I have used it engage with like-minded individuals and share conversations across miles and time zones (in my case, think nerdy acupuncture case studies). I also use it to stay inspired and energized, even when things feel hard (in my case, nature is a pretty spectacular way to stay inspired). How do I NOT use it? This list is much longer and I won’t put it all here. Instead, I wanted to share the following list of ways to be mindful about your social media use. I have tried all of these and while some worked for me long term and some did not, they all made me more aware and mindful about how I decide to use this form of technology. Limit your time on social media to under 30 minutes per day. The new iPhone iOS allows you to set limits but this doesn't include web browser use. The new iOS will also track your use of groups of applications, including social media. Try setting a limit on how much time you are “allowed” to spend looking at social media in a day. Just the accountability of knowing you are being tracked can help change behavior for some people. There are many other apps out there that will do this for iPhones as well as Android. I love Moment but experiment to see what works for you! I recommend removing the apps from your tablets and phones when possible and keeping your use to one device or computer. Get a buddy to take a break with you. Make a commitment to a friend to take a break for a set amount of time. Plan to take one day a week off from social media. And stick to it! Set up 2 Factor Authentication for your social media accounts. This requires extra steps every time you want to log in and gives you another chance to ask yourself if you really want to check your feed. Spend time going through every account you follow. Note how the last post from that person made you immediately feel. Bad vibe or not sure? Remove them from your account. Exposure to posts, pictures, tweets etc. that allow us to question our selves or encourage negative feelings are not worth keeping and perpetuate the dark side of social media. This exercise takes time and I suggest doing it in small chunks. Jonesing to check your account? Try talking to someone in person or on the phone instead (I’m serious!). While it may keep us connected in some ways, our digital culture may also encourage us to isolate and interact less. Declining numbers of in-person engagement are a sad result of people who try to connect online more than in person. Be mindful and ask yourself, what else could you be doing now, instead of checking your feed. Maybe even ask yourself if there is something else you are procrastinating or avoiding. Do a social media “cleanse” a few times a year. Completely remove social media for a week to reset your usage and awareness about your behavior. By trying a few of these, you may find small bits of awareness around your behavior that eventually help you change any negative role social media is having on your life. Social media isn’t going away anytime soon so if you decide to connect online, isn’t it better you get to decide how you use it?